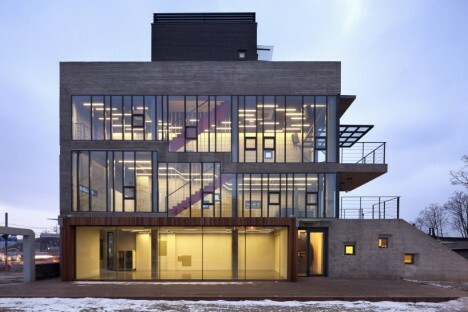 Shaped like a book, a cultural facility on the boundary between a residential neighborhood and industrial area in a suburb of Incheon, South Korea acts as a smooth visual segue-way. 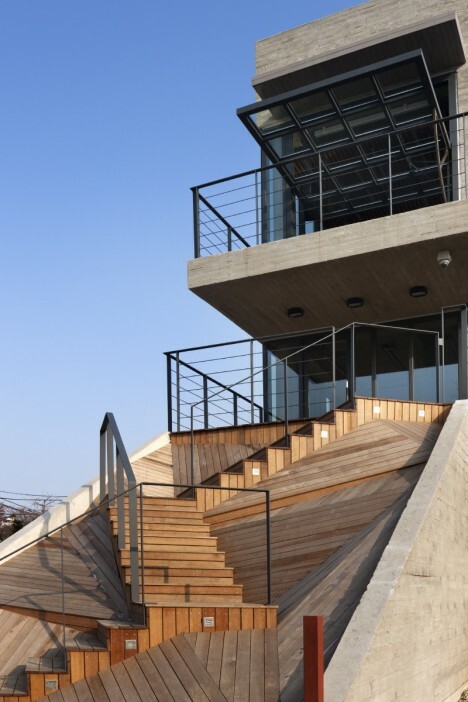 Placed on a narrow site, the concrete structure measures just four meters wide and features an eye-catching zig-zagging wooden staircase leading from the ground floor to the first level. 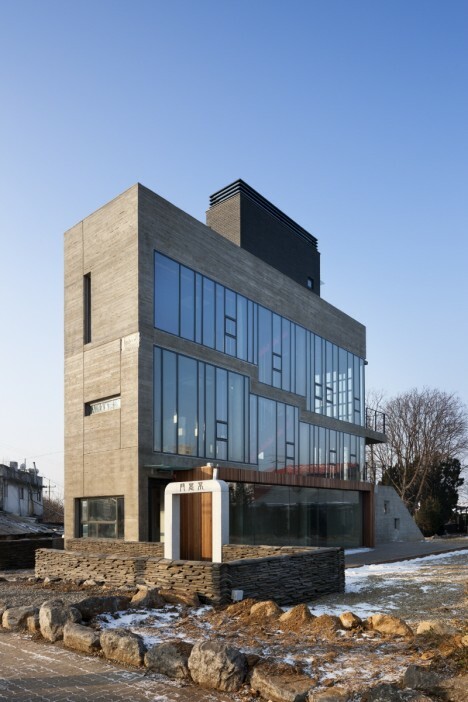 The building acts as a visual landmark for a town that lost its identity, a feeling the architects at Studio Gaon liken to an old man without fingerprints. The town of Gajwa-dong was once a fishing village positioned on the edge of the sea, but land reclamation projects re-routed the water. Views of the waves have now turned into bustling highways and unremarkable factory buildings. The owner of a 400-year-old house next door donated the oddly-shaped plot to the community after discovering that what he thought was his neighbor’s land was actually his own, with the request that the new structure act as a screen between his home and the industrial buildings next door. The resulting Sinjinmal building feels calm and solid with its cast-concrete walls bearing wood grain textures and expanses of glazing flooding the interiors with light. 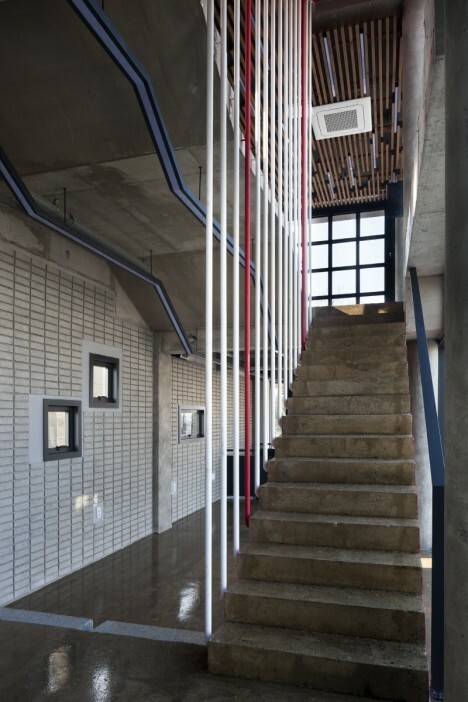 The zig-zag stairs outside reference those of a historic South Korean pavilion, while the interior stairs are painted bright red “suggesting past time, present, and future alterations.” A full-height, full-width glass door on the second floor seminar room pivots open to a terrace with the help of a manual winch.